Baton Rouge, LA – May 22, 2014 – Lamar Advertising Company (Nasdaq: LAMR), a leading owner and operator of outdoor advertising and logo sign displays, announces that its board of directors has declared a quarterly cash dividend of $0.83 per share payable on June 30, 2014 to stockholders of record of Lamar’s Class A common stock and Class B common stock on June 1, 2014. As a result of its expected REIT election and introduction of a quarterly distribution, Lamar previously provided its expectations for the aggregate amount of its pre-REIT accumulated earnings and profits of approximately $40 million. Currently, Lamar’s board of directors does not expect to make a special distribution to its stockholders on account of its pre-REIT accumulated earnings and profits. We plan to distribute this amount in 2014 along with the regular quarterly distributions to stockholders of our REIT taxable income, commencing with the dividend announced hereby. We expect and intend that the June distribution will satisfy the requirement to distribute our pre-REIT accumulated earnings and profits. According to the AAA 2014 Memorial Day Holiday Travel Forecast, 88% of Memorial Day travelers will do so by car – that’s 31.8 million people hitting the road. 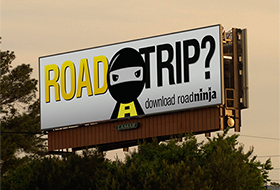 Check out some of the ways our RoadNinja app can help road trippers over Memorial Day weekend. 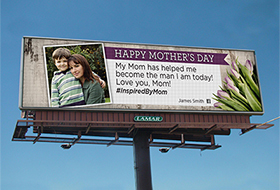 This year, Lamar Advertising is giving you the opportunity to show your mom some love on our digital billboards nationwide for Mother’s Day with the #InspiredByMom campaign.